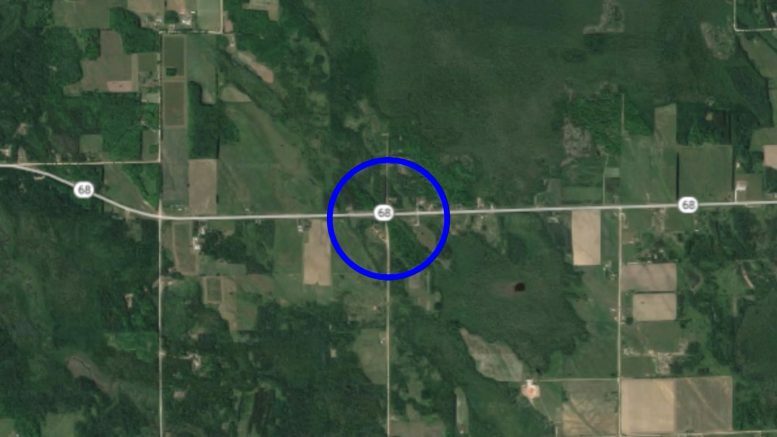 (Photo Courtesy/Google Maps) The accident happened on M-68 near Thompson Rd in Case Township. Presque Isle County, Mich. — A roll–over accident has left one man in critical condition. A 21–year–old Brighton man was rushed to the hospital after his car left the road and struck a driveway embankment on M–68 near Thompson Rd. in Case Township, just east of Onaway. The man was extracted from the vehicle by first responders. He was rushed to the hospital. The incident remains under investigation at this time. The Presque Isle County Sheriff’s Office, Onaway Area Ambulance, Onaway Fire Department, and Case Township Fire and Rescue.